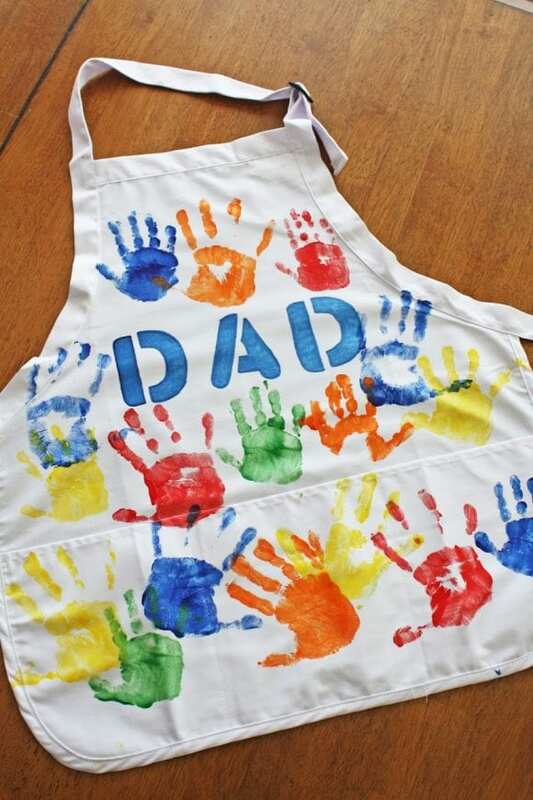 Every Dad needs a colorful apron with his kids handprints on it for BBQing this summer! 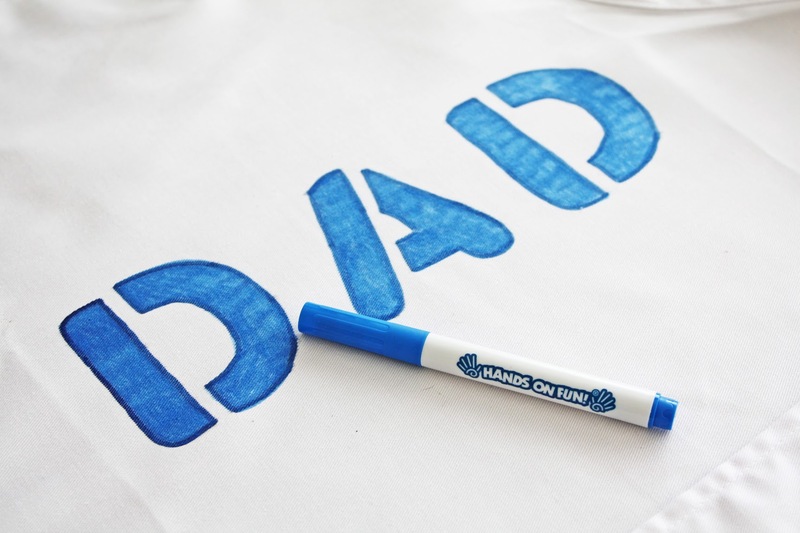 You can customize your colors and text to make this DIY Father’s Day apron one of a kind! 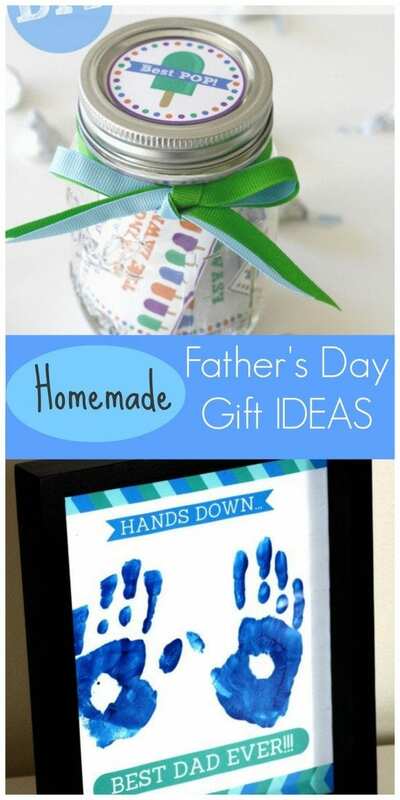 Plus, it's super easy to make! Step 1: Pre­wash and iron apron. 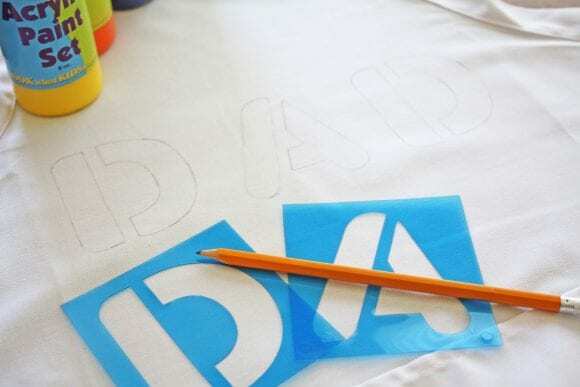 Step 2: Position the stencils where you would like the wording to go on the apron. Lightly trace the letters onto the apron. 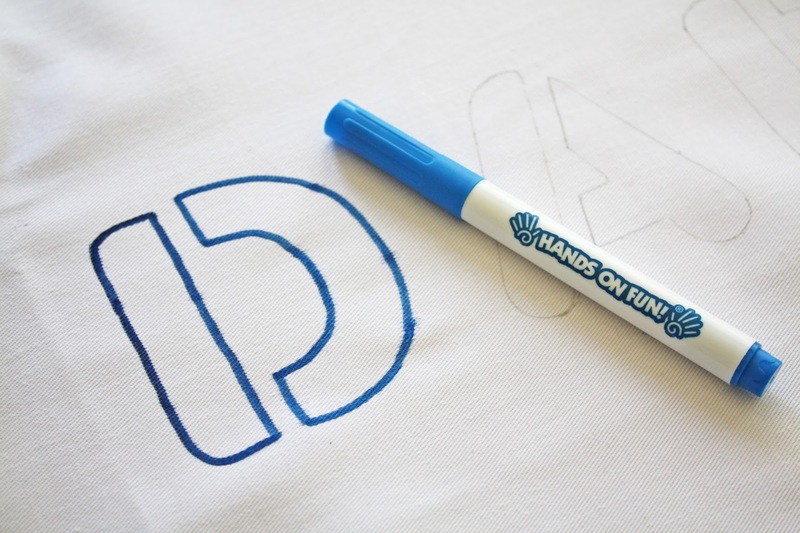 Fill the letters with a fabric marker. Step 3: Fill the plastic cups with each color you will be using. Start by painting on a layer of the fabric paint to your child’s hand. You can do two colors at a time if you like, just paint each hand a different color. 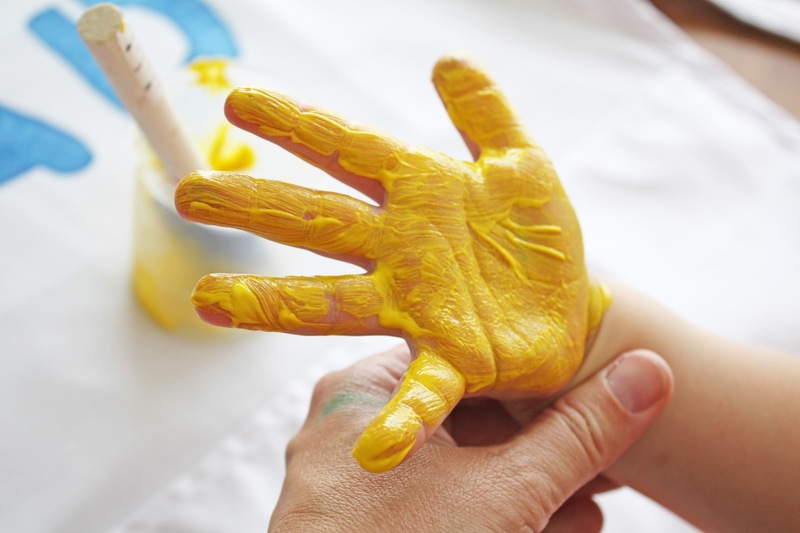 Step 4: Once you have a nice thick layer of paint on your child's hand, have your child press firmly onto the apron. 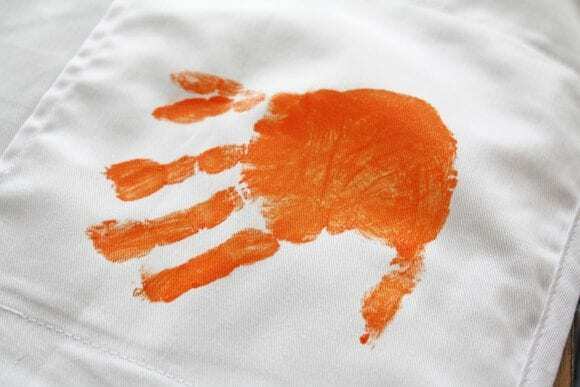 Repeat with each color and each handprint. Tip: I found it easier to paint the hand rather than dip the hand onto a paper plate. When my kids dipped their hands the paint was too thick and the handprints were difficult to make out. Allow the apron to dry. 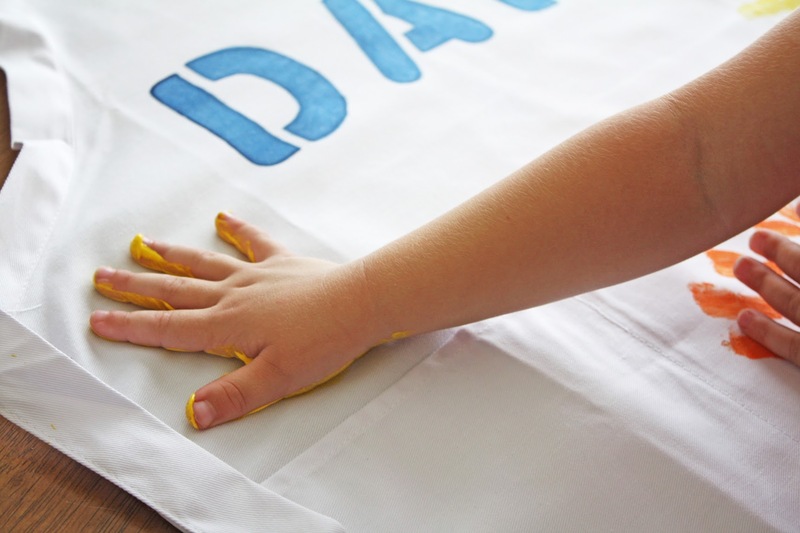 Make sure to turn the apron over and iron to “heat” set the paint before washing. 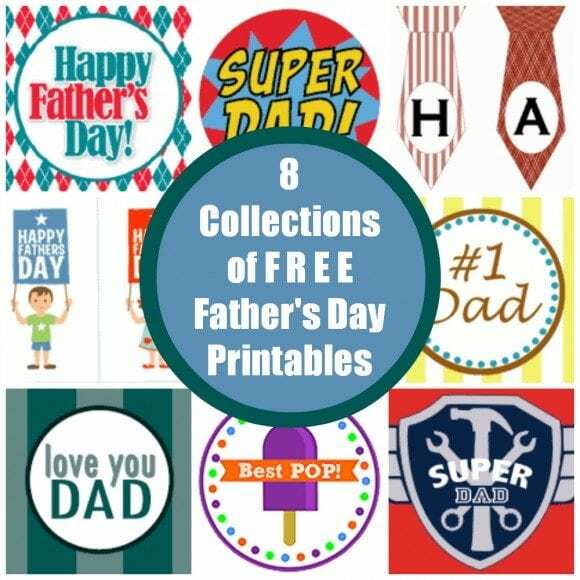 Be sure to check out all the Father's Day parties on our site and our free Father's Day printables, too. 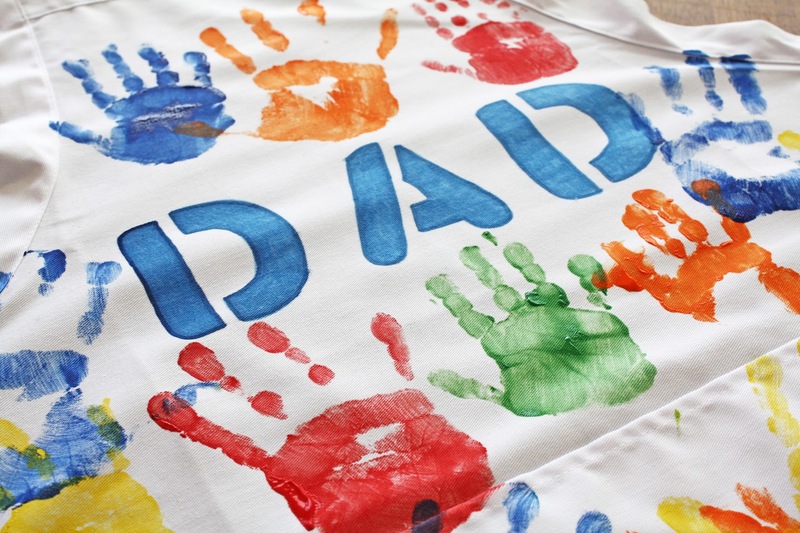 This fabulous craft was created by our craft contributor, Shauna at Ella and Annie Magazine! To see more of Shauna's work, check out Ella and Annie Magazine and visit them on Facebook, Twitter, Instagram, and Pinterest.